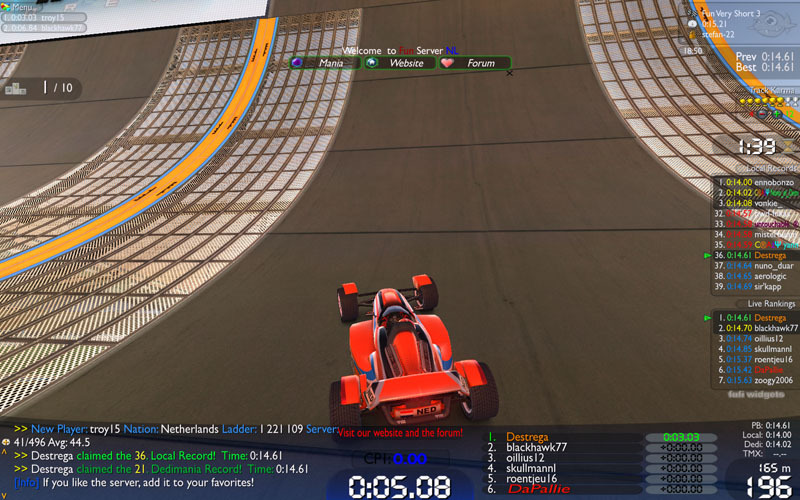 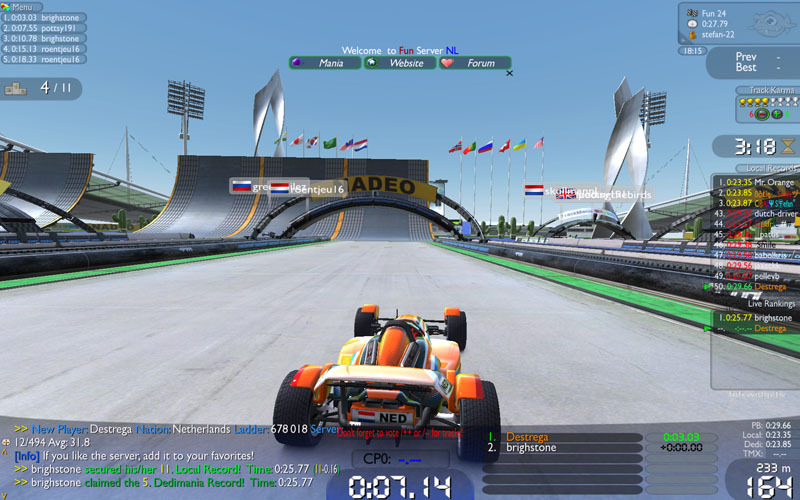 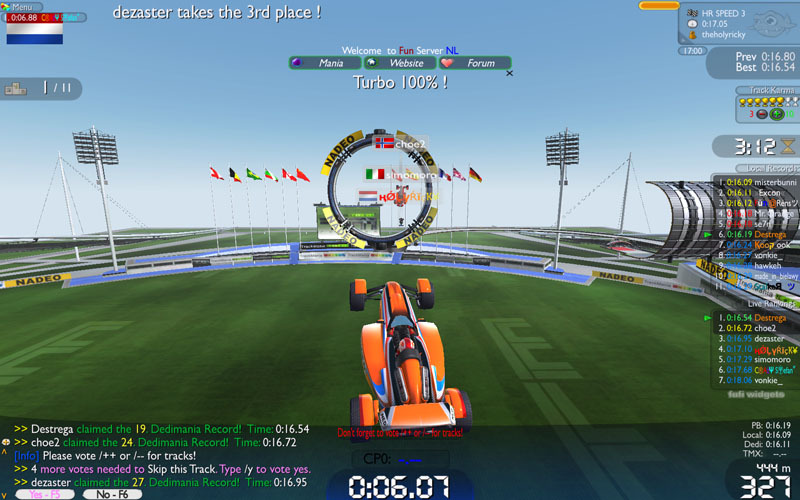 Trackmania Nations Forever is a fun, fast racing game made by Nadeo. 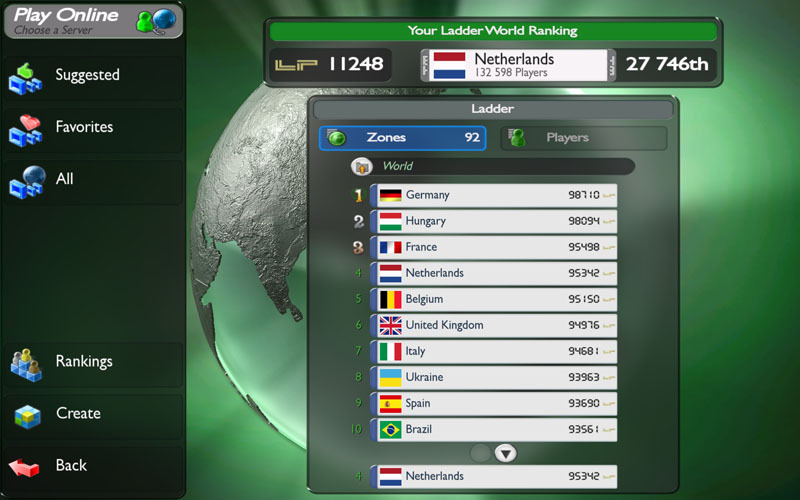 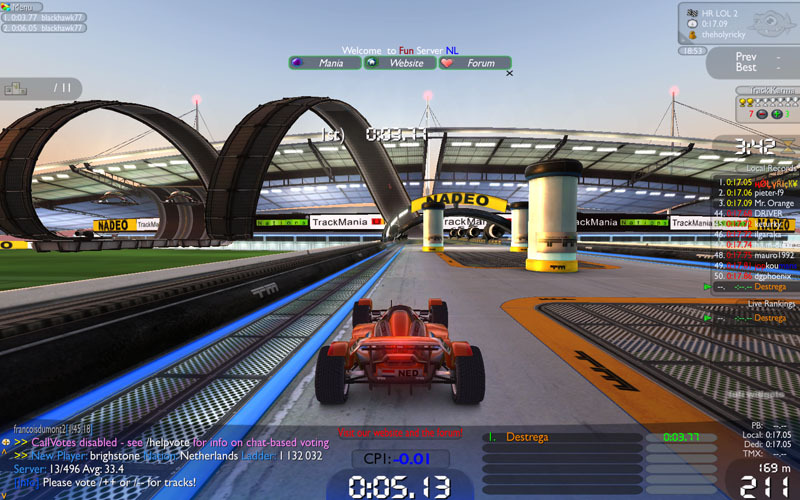 The game can be played solo or multiplayer via internet. 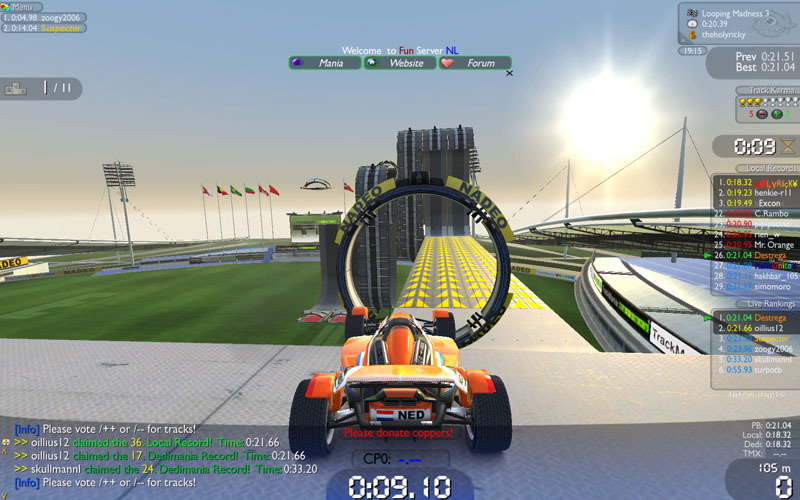 The game has over 65 standard maps and hundreds of community created maps. 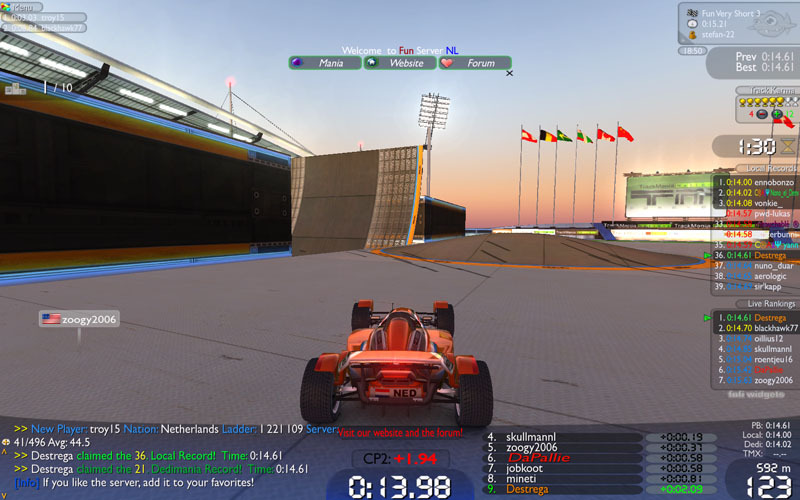 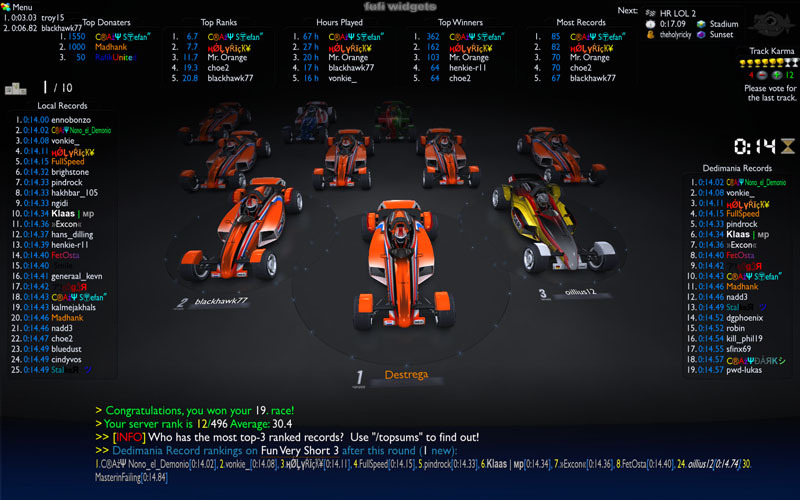 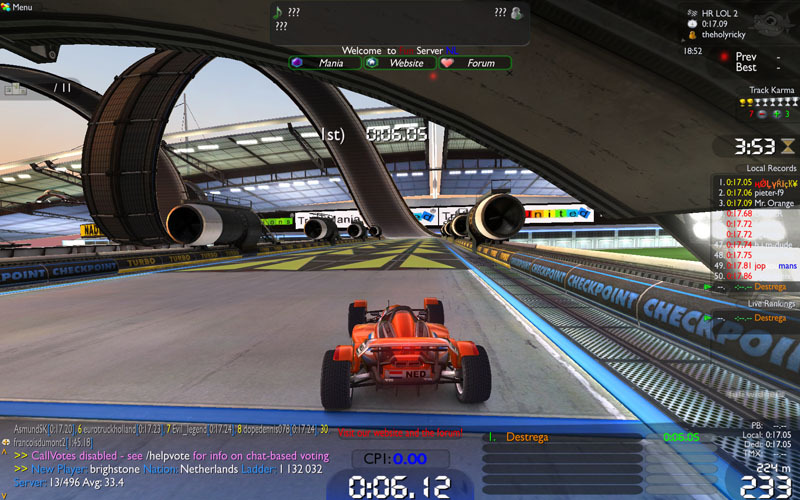 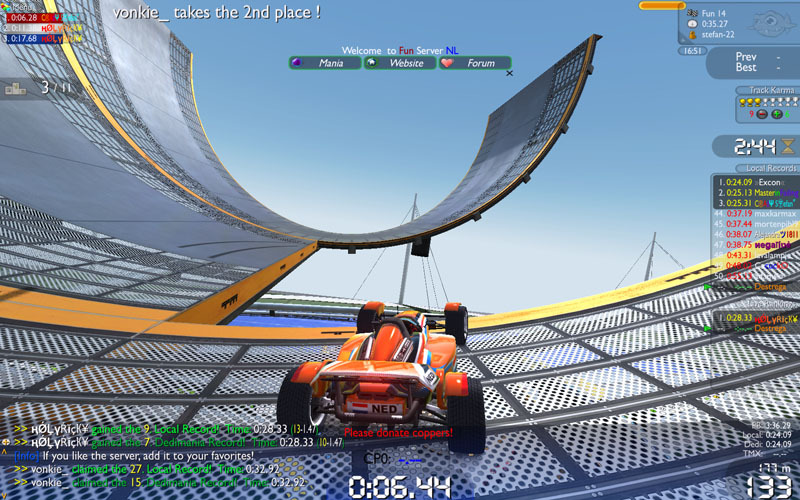 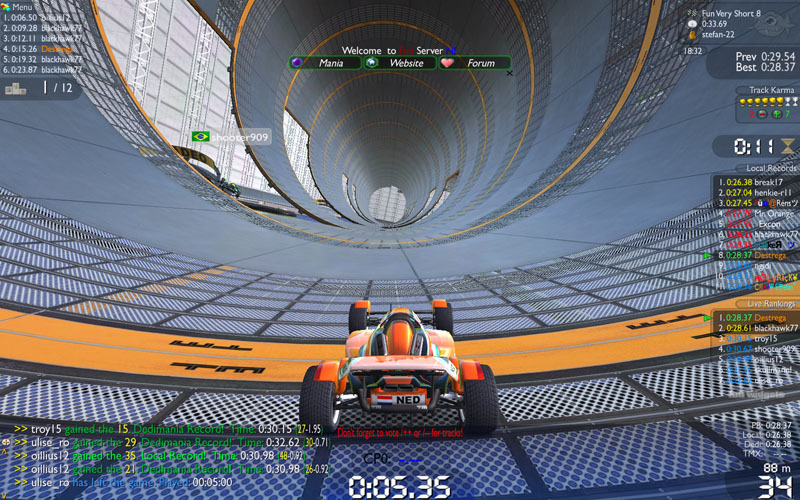 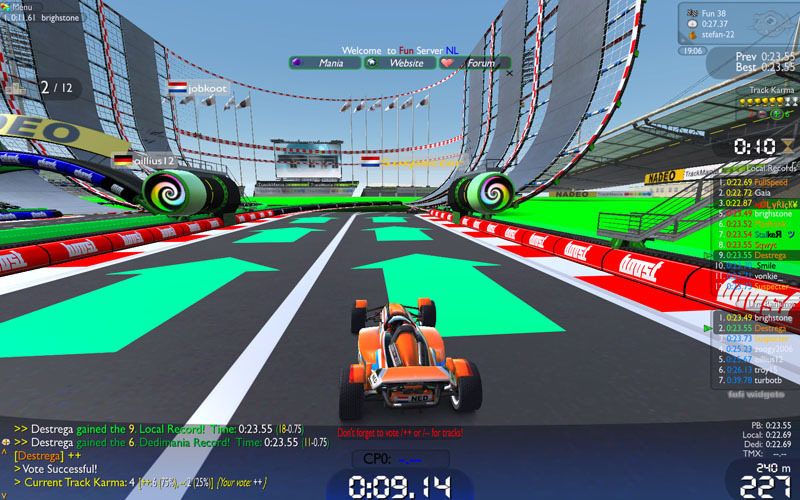 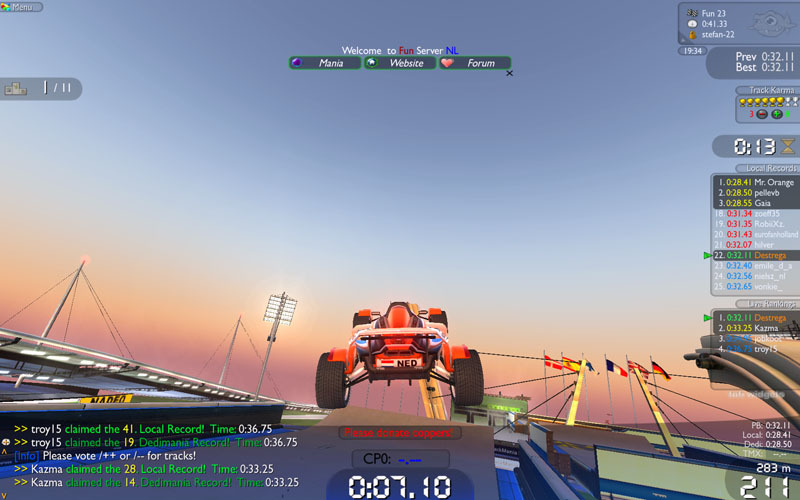 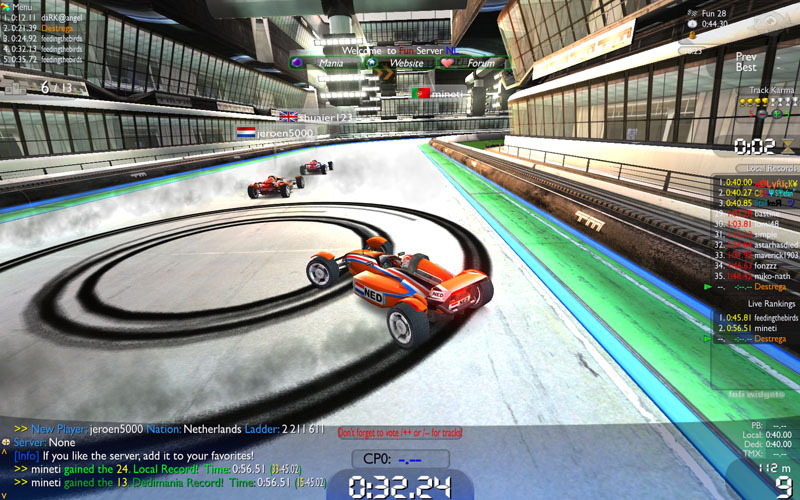 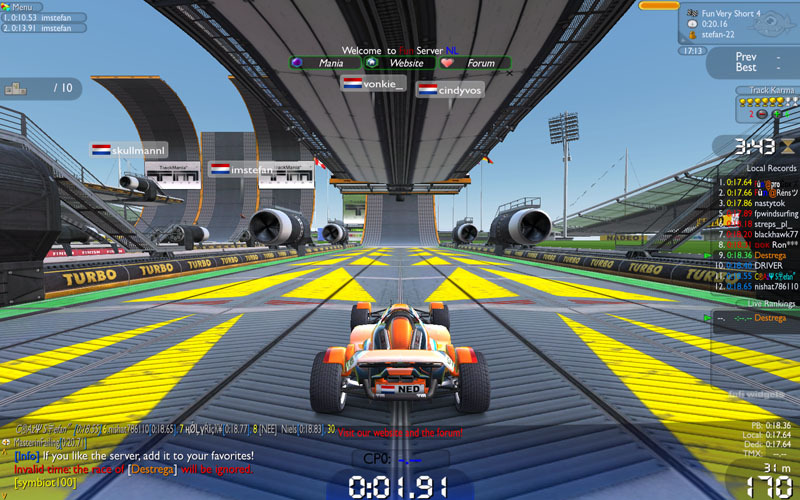 Trackmania also features an editor with which you can create your own tracks and play them online with your friends.